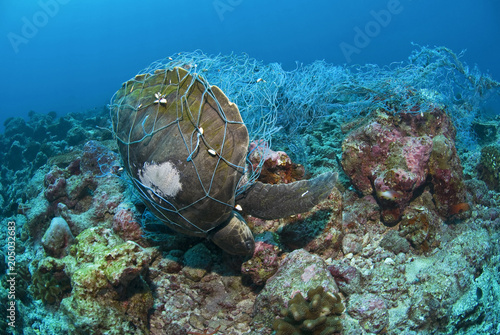 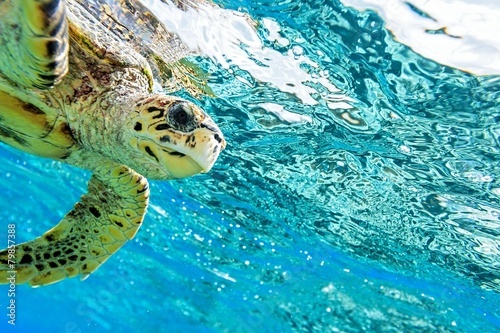 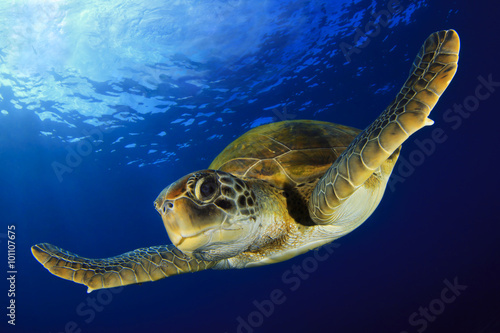 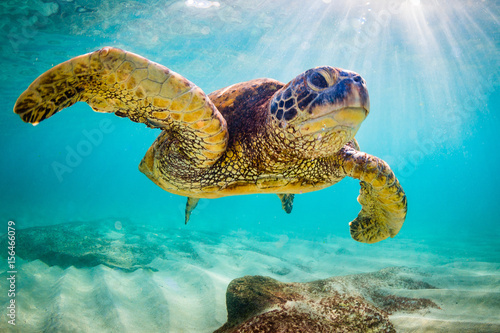 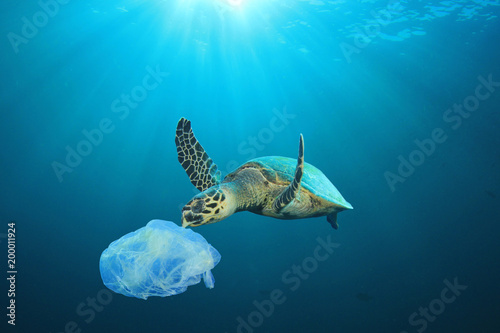 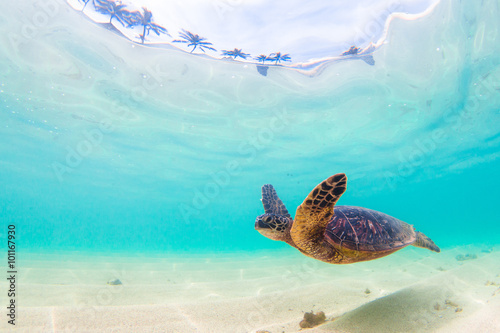 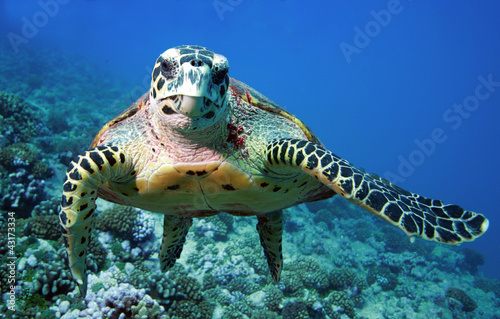 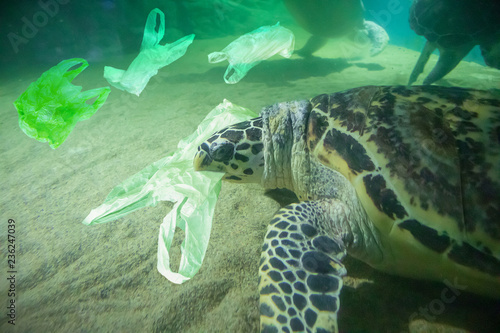 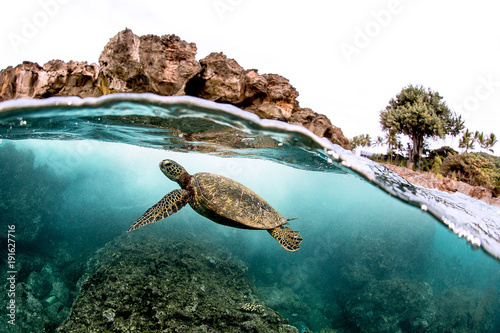 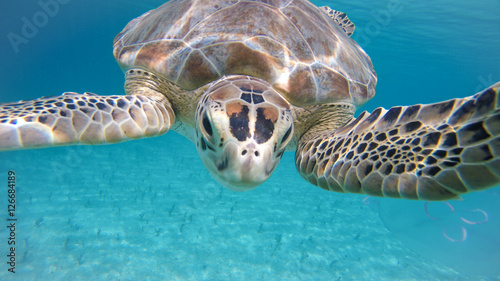 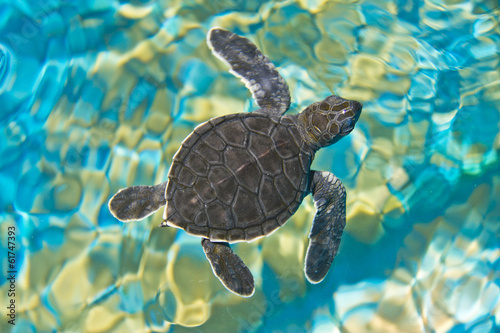 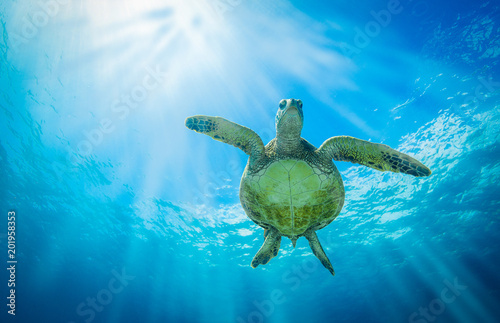 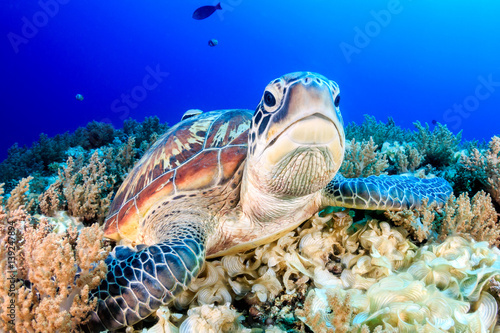 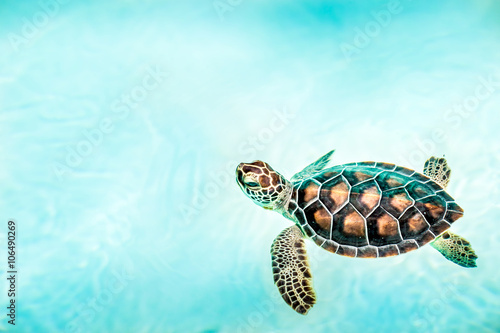 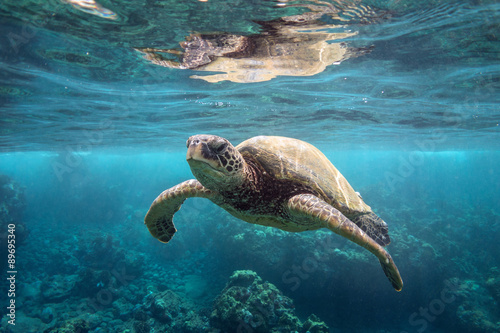 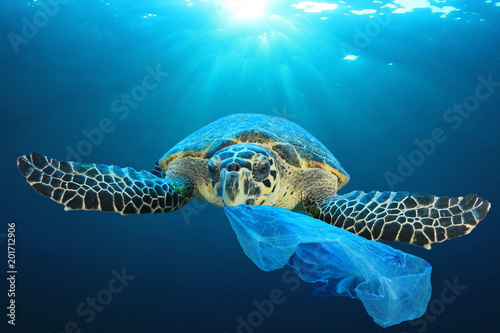 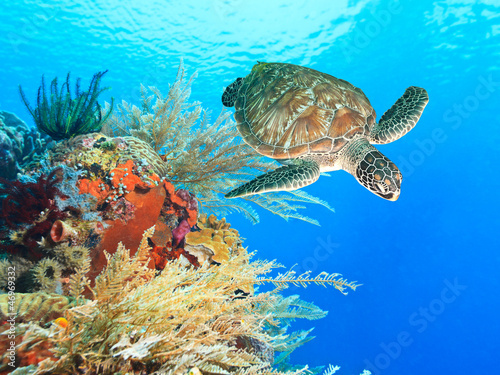 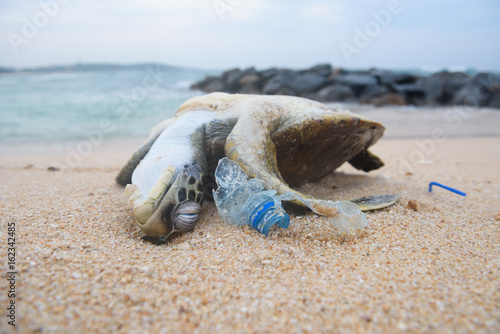 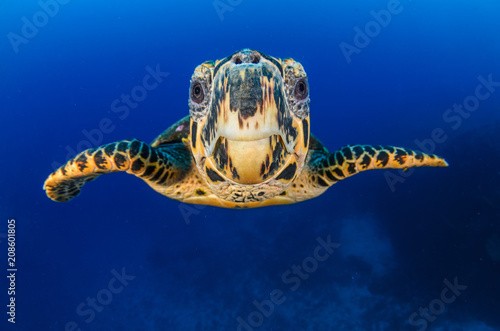 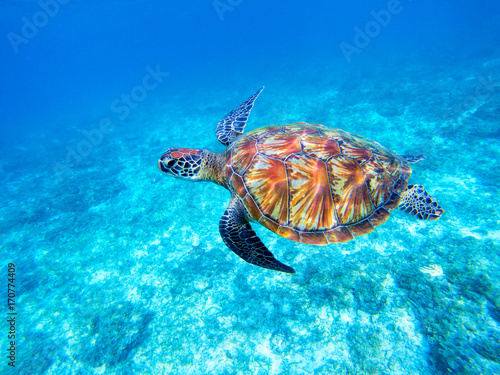 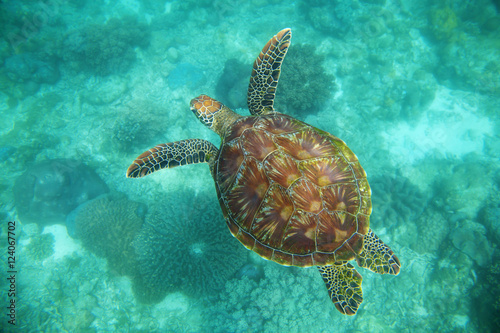 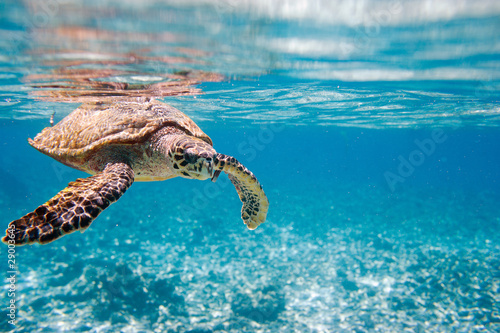 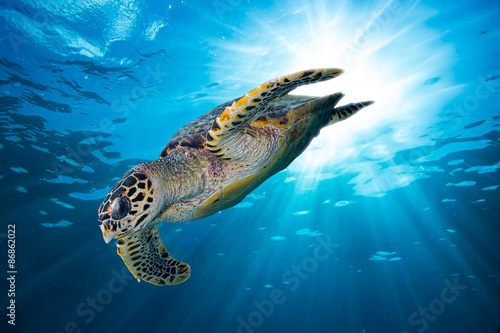 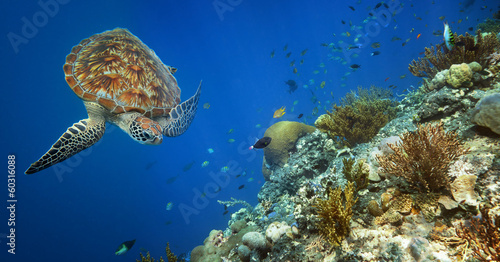 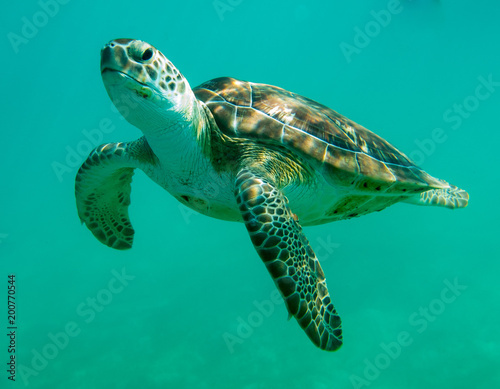 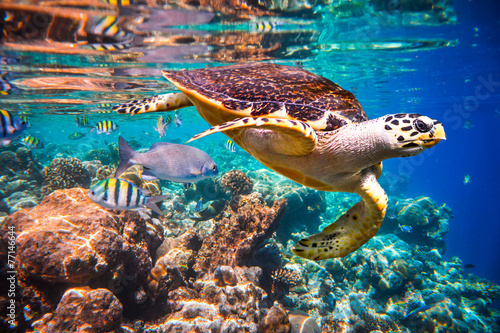 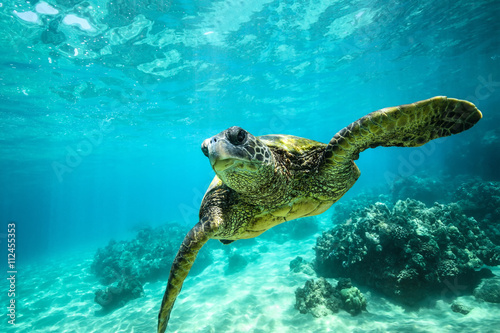 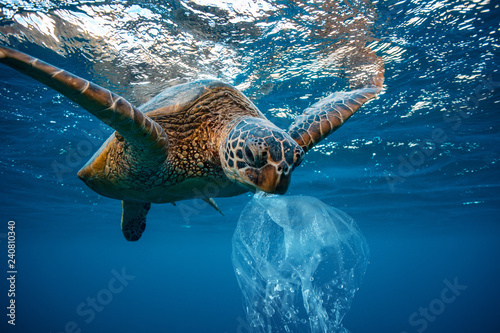 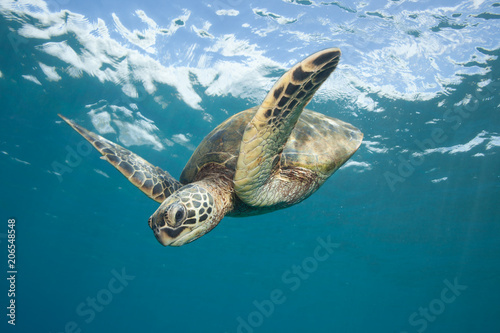 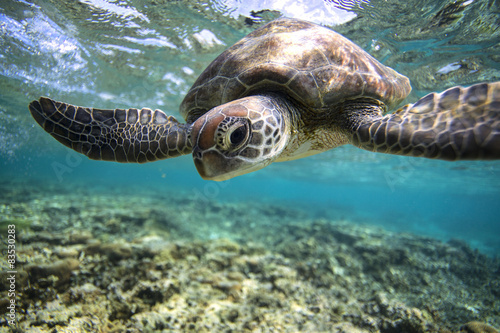 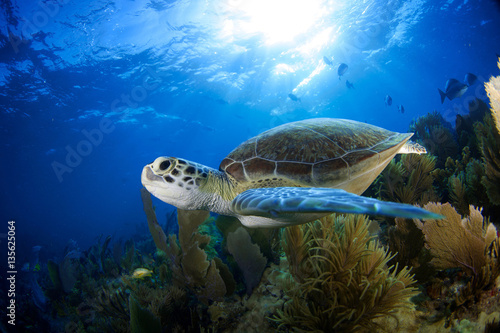 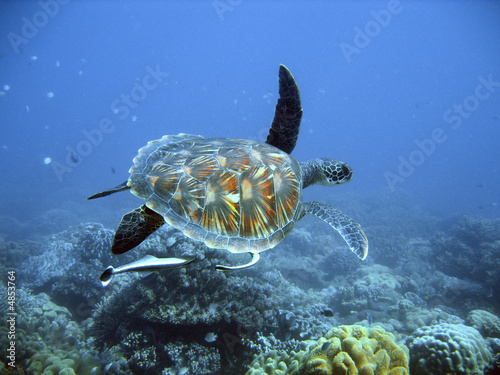 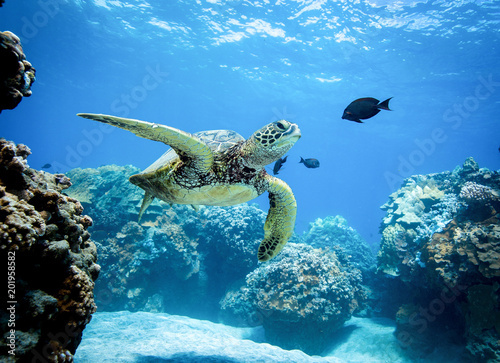 Green sea turtle in shallow seawater. 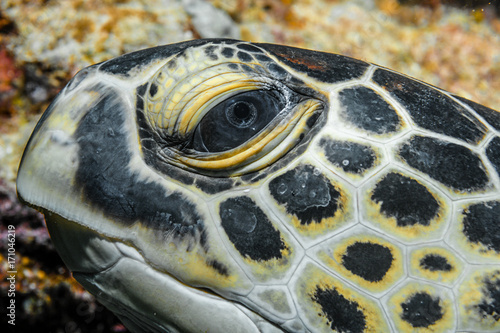 Big green sea turtle closeup. 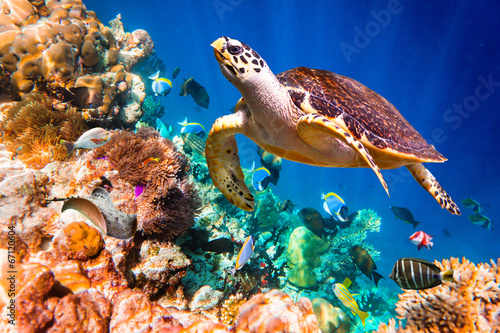 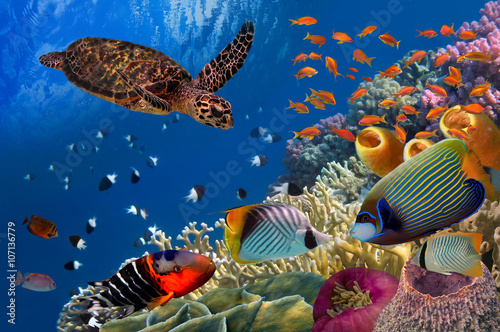 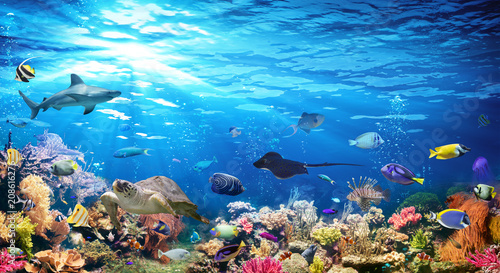 Marine species in wild nature. 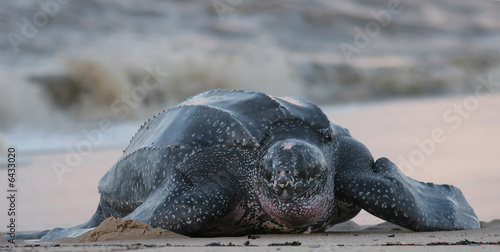 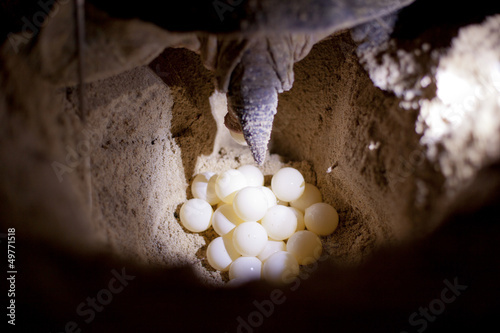 Green turtle laying eggs on the beach at night. 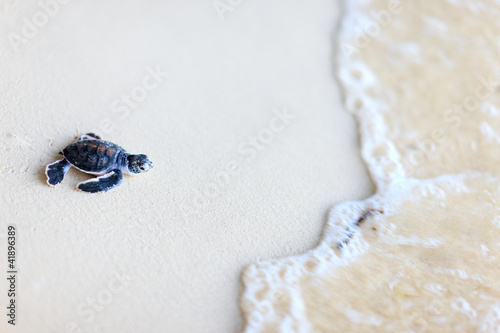 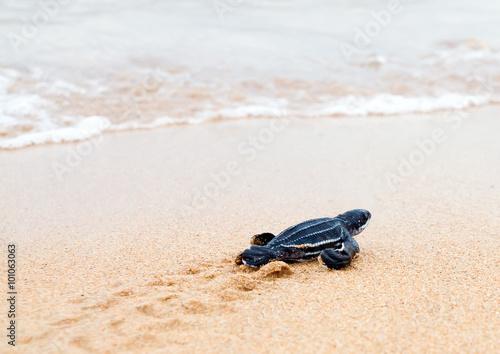 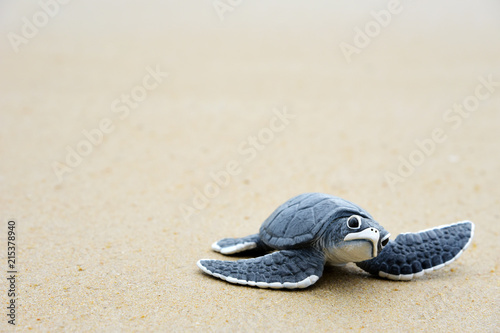 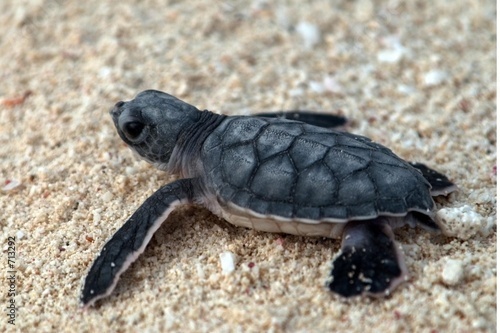 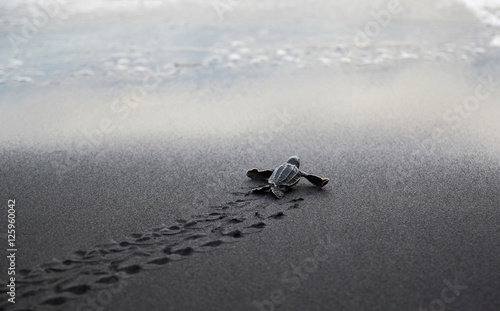 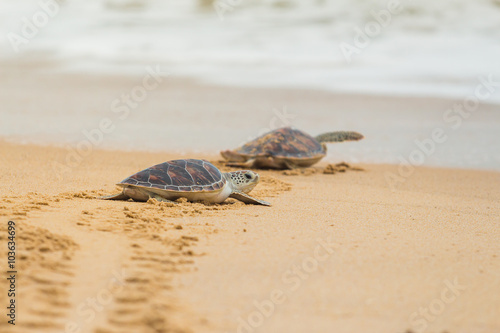 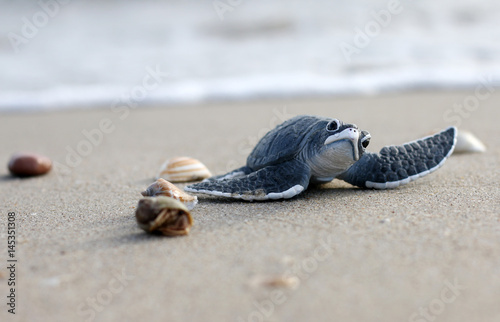 Little turtle on the beach,Copy space.